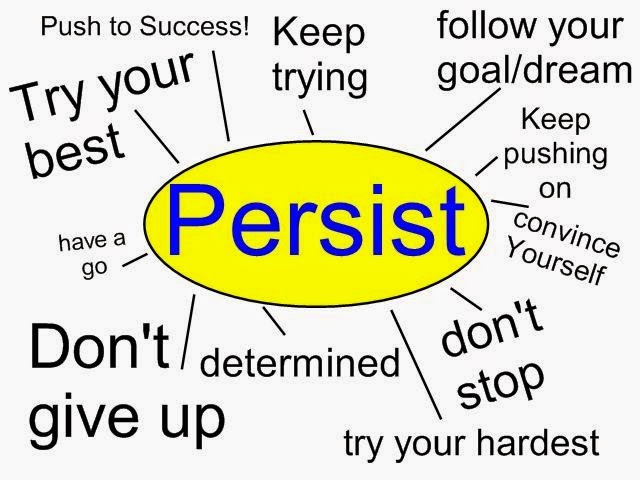 Today we watched a You Tube clip about Persisting. After watching the clip we made a brainstorm to show what we thought persisting meant. I like the new habit of mind it's great.